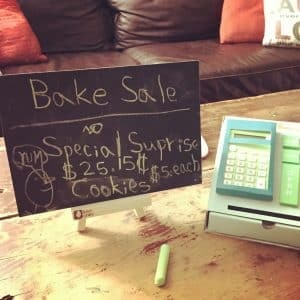 Homeschooling Math: 10 Ways to Keep it Fun! Nothing makes you reflect more on your own educational history than suddenly and unexpectedly homeschooling a gifted child. And nothing makes you more aware of your personal insecurities. Me? I’m a reader. I love to write. I’ve always been fascinated by art and history and music. And, while I didn’t think of myself as a science person when I was in public school, I adore the sciences now. Homeschool math worries me, folks. My own math education was fraught with gaps and questionable teaching practices. In fact, one year my math teacher went on sick leave in October and we had substitutes for the entire remainder of the school year. Can you tell I’m bitter about my math education? I’ll be the first to admit it: I am. I always performed well in math, but I never felt confident in the subject. Because of this, math is my main concern when it comes to homeschooling. I want my children to be confident in math. I want to raise children who love math. I want my children to believe that math can be fun. 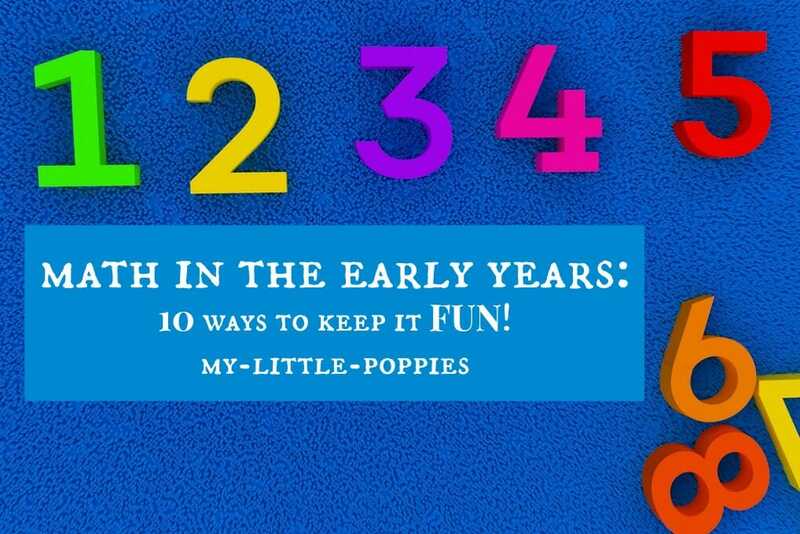 How do you teach your children that math can be fun when your own math history was tarnished? Well, I’m not going to sit here and act like I have all the answers. I’m right in the trenches with you all and I’m learning as I go. I can, however, share the way I approach math over here and the reasons behind our approach. It probably won’t surprise anyone that I’m going to link my approach to reading. What if We Apply Early Literacy Strategies to Math Development? As homeschool parents, we all have unique strengths and weaknesses. 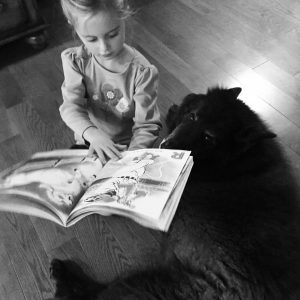 My strength is reading and right now, at ages 7-, 6-, and 4-years-old, my kids love books and reading. 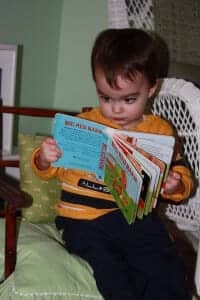 My two oldest children read well above grade level and my youngest guy is teetering on the verge of unlocking that code. Our local librarians can back me up on this: I have three bibliophiles on my hands. 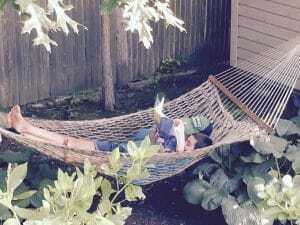 The truth is, I had three readers before I stumbled into homeschooling. I am a bookworm myself. I am also an educator. I am passionate about literacy. Because of this, I knew how to raise readers. 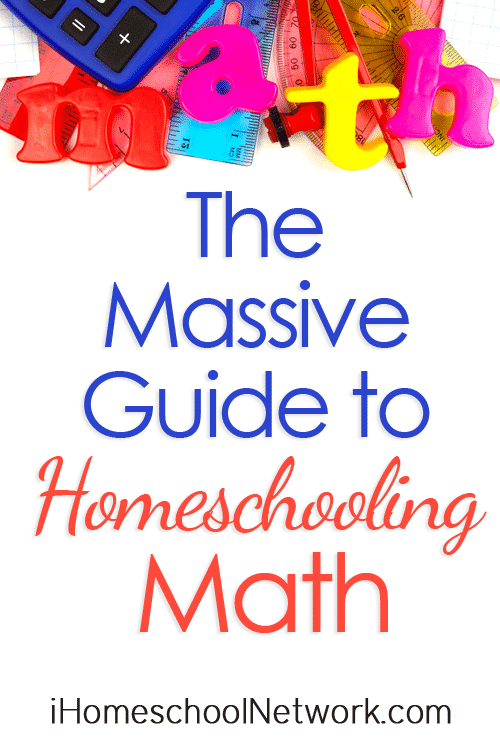 When I fell headfirst into homeschooling, I worried about math. 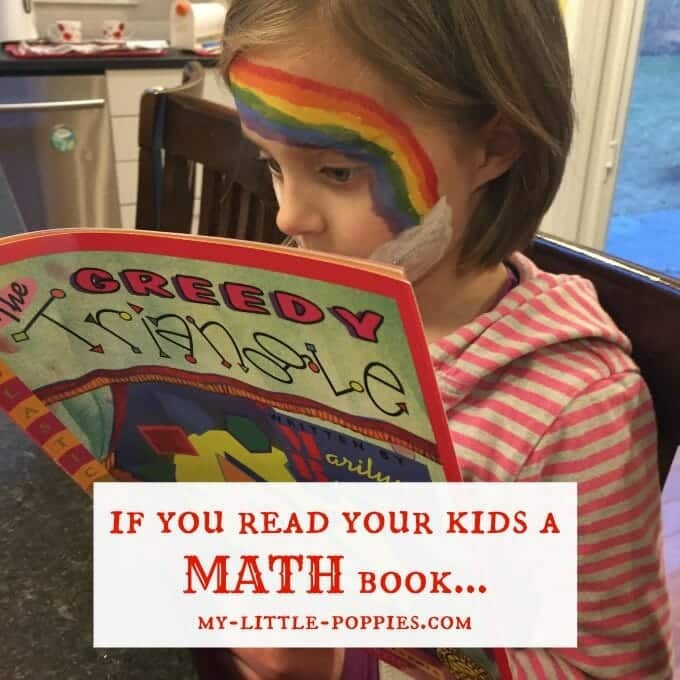 How could I raise children who loved math, just as they love books? I decided, in that moment, to rely on my strengths. What if we approach math development in the same way we approach early literacy? It makes sense to me that, by creating multiple pleasurable early math experiences, one could raise children who enjoy math. Well, the jury is still out, folks. My kids are still young and their mathematical journey has only just begun. I can tell you that we are all having fun with math right now. 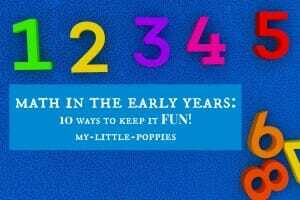 Homeschool Math in the Early Years: 10 Ways to Keep it Fun! It is my hope that, by creating many early pleasurable experiences around math, my children will naturally grow to understand, apply, problem solve, and analyze the world in a mathematical way. I hope that these early experiences enrich their childhoods and help to build a solid foundation on which to build math skills. We hear about print-rich environments all the time. What about a math-rich environment? Long before my children could read independently, I labeled everything. True story, folks! Family members and friends would tease me about my labels. Toy bins, dresser drawers, objects within our home. When my kids watched television, I made sure there was closed captioning. By doing so, I exposed them to heaps and heaps of words. I don’t know about your kids, but mine love any opportunity to use grown-up tools and materials. Why not set them loose with measuring cups, ruler, yardstick, and scale and see what happens? Measurement is a fun way to practice math skills. Are you planting a garden? Include the kids! Planting seeds involves measurement, plus it is fun to chart how fast those plants grow! My children are fascinated by time and date. Access to calendars and clocks in the environment creates interest and encourages conversations. One of my favorite homeschool strategies is strewing. By providing access to oodles of fantastic math activity choices, the odds are your children will engage in them! 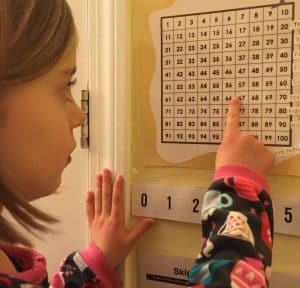 Every time you play a game with your child you are working on math skills and boosting those problem-solving abilities. Play Monopoly with your child and let her be the banker. Teach your kids to play chess and they’ll be developing strategic thinking abilities. Dice, dominoes, even the game of War can be educational and fun! Games are an integral part of our homeschool over here! Just this week, I played Sum Swamp and Countdown! with my younger two. Both of these games reinforce addition skills. My oldest and I played Prime Climb and ThinkFun’s new Math Dice Chase, both of which reinforce multiplication skills. And we all enjoyed taking turns playing our new favorite strategy game: Stratos Spheres! 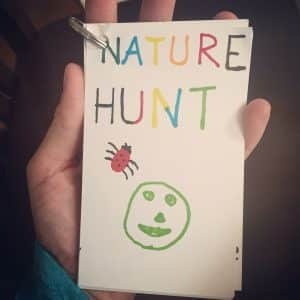 Head out in the backyard and go on a nature hunt and then count, sort, and group your treasures. Are you headed to the beach? See who can collect the most seashells and then do the same. Use your imagination and create a play store or a pretend restaurant! My children love to set up our playroom like a store, get out the paper money and plastic coins, grab a few reusable shopping bags and play store. In addition to teaching math skills, you can sneak in some early awareness of money and finances. I cannot tell you how much use we got out of a Kiwi Crate that focused on creating a pretend restaurant. It was a part of our playroom for many months! It wouldn’t be a My Little Poppies post if I didn’t include books! Books are the spine of our homeschool. By carefully selecting quality books to read aloud to my children, I can cover any school subject… including math! Bonus? Because I am reading aloud, nonreaders are able to learn about these topics, too! For years now, we have been ending our days with Bedtime Math and Life of Fred. I have to think that this time spent cuddled together each evening, enjoying quality stories that center around mathematical concepts, will serve my children well in the future. If you are looking for more quality math story books, be sure to check out this post in which I share [some of] our favorites. At some point, I will do a follow-up as we have too many favorites to list in one post! Math is everywhere! 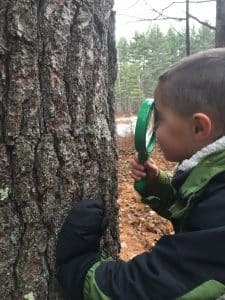 Explore nature with your children and see what math you can find together. Discuss the patterns in nature, from pinecones to snail shells! Have you heard of letterboxing? It’s an outdoor recreational activity where folks hide weatherproof boxes in public places (ie., parks, hiking trails, etc.) for others to find, based on clues found online. This is a wonderful way to combine nature, fitness, and problem-solving. Geocaching takes letterboxing to the next level by using GPS. There are millions of letterboxes and geocaches hidden around the world and it’s up to you to find them! When I was little, I loved building forts and then getting lost in my own imaginary world, hidden away in my cozy nook. Forts are an important part of childhood, but did you know that building forts boosts those math and all-important STEM skills? Last weekend, my children worked together to build a massive lean-to on the hill behind our home. It was a huge undertaking, and they were wiped out by day’s end. Wiped out but proud. I was proud of them, too! From planning to construction to cooperation, they had worked together to solve a problem and create something amazing. Happy kids, happy pup, happy mum! Have a family soccer game and take turns being the scorekeeper. That’s math, folks! Do you have a kiddo who is obsessed with baseball? Talk about all those stats you see throughout the course of a game: batting average, ERA, RBI, CG… I could go on and on and on. Compare your team’s stats to those of your opponent. You’ll be squeezing in a math lesson as you root, root, root for your home team! Talk about it! So much learning happens in our day-to-day conversations. These conversations can be a great way to incorporate real-world mathematics. Oh no! Not enough cookies left for everyone? 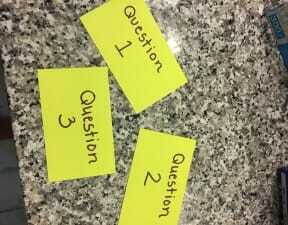 How can you divide them equally? How far is it from your home to your best friend’s house? How much money do you need when going grocery shopping. Out to eat? What is a tip? What does percentage mean? Our youngest son is the king of math conversations. Ask him to bring up logs for the wood stove? He’ll tell you he’s going to bring up four logs and then he’ll update you with every log, “Four minus one is three!” Everything is math to that little fella, even chocolate chips! My husband and I have discussed allowances before but we never came to any decisions about best practice. Recently, I read a thought-provoking book on the subject and it convinced us to start a weekly save, spend, give allowance with our children. The change has been remarkable. Before having an allowance, money was rarely a topic of conversation among my three. Nowadays, not only do they have a better understanding of coins and value, but they are budgeting and researching ways to give. Set the kids loose in the kitchen! Let’s be honest here, folks: Who doesn’t want more help in the kitchen? I’m a healthy eater but I’ve never enjoyed cooking. There are just too many other things I’d rather be doing… until now. Homeschooling has created space for cooking. Where there once was little time, there is now more space. We now prepare most meals together. We have grown closer and made memories… and cooking involves tons of math! 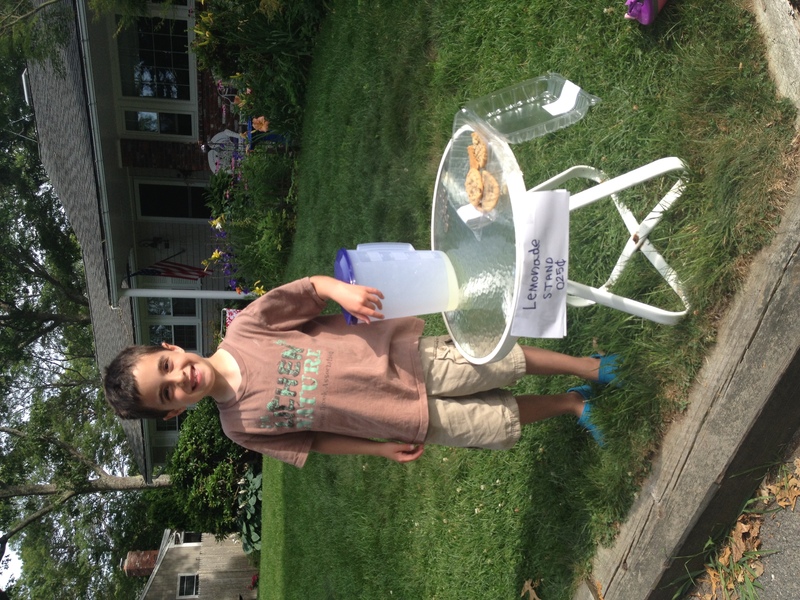 There’s nothing like an old-fashioned lemonade stand on a hot summer day. Your child will learn valuable math skills in the process, including pricing, measurement, making change, and determining profit. 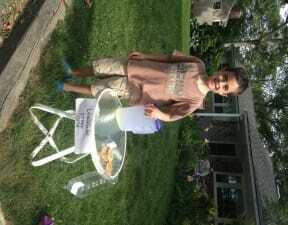 Take it one step further and have a lemonade stand for a cause. Once your child adds up all those quarters, decide on a cause that is dear to your family and make someone’s day. Math today is delicious! Happy Pi Day, all! When it comes to math, technology is your friend! From AoPS to IMACS to Khan to online courses through Duke, Johns Hopkins, Northwestern, and Stanford, online learning opens a world of possibility for gifted homeschoolers. Online learning opportunities can keep gifted kids happy and engaged while giving mom and dad a break. I don’t know about you guys, but math is the first subject I plan on outsourcing when my children get older! It seems that folks either love math or they loathe it. Just the word math is enough to strike fear into the hearts of many. Believe me, I understand! Remember, folks: Monkey see, monkey do!! Give them something worth copying! Regardless of how bad your math education was, you must be aware that children are sponges. They learn by watching you! It is so important to create early, positive memories around mathematics. 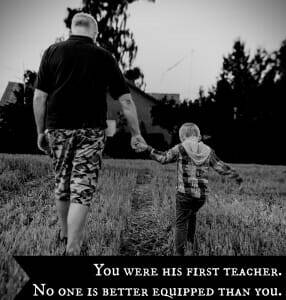 I think this is especially true when it comes to our daughters. Trust me, you don’t have to remember everything! All you need is to be willing to learn alongside your children. When you start to get nervous, remind yourself that you were your child’s first teacher. Learning doesn’t end because you graduated, my friend. There’s nothing stopping you from re-learning something you have long forgotten. It doesn’t stop you from learning something you missed due to educational gaps. 10. Don’t forget about the arts! We need those artists and musicians! Creative individuals think outside of that proverbial box. There has been a lot of talk over the years about the link between music and mathematics. Musical training can help with sequencing, pattern recognition, memory, and attention skills. And do you want to know the best part? Music is fun– your kids won’t even know that they are fine-tuning those math skills! Art is fun. It opens the mind and calms the soul. I try to incorporate art into our daily routine here. 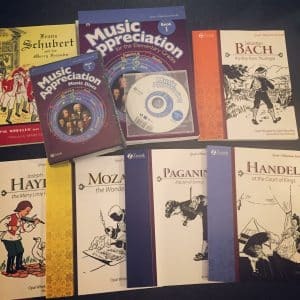 I believe that the ability to focus on art and music is a huge homeschool perk! I am certain that my children would have less time for these pursuits in a public school setting. By creating many positive early experiences of math, you build a foundation for later. Just as I grew three readers, I am hoping to grow three math lovers. So far, they love math. My hope is that they will always see the value and fun in mathematics. Would you like to add more joy to your homeschool day? Are you looking for more ways to make math fun? Now, it’s your turn. Tell me, how do you make math fun? 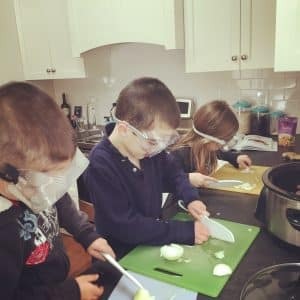 Now that I’ve shared my approach to homeschool math in the early years, I’d love to hear what you do! Share here. I love hearing from you! 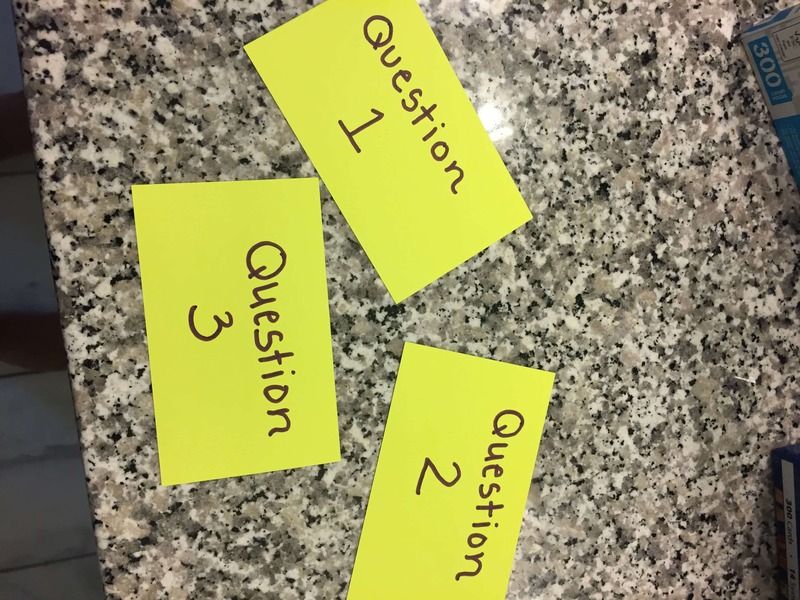 This post has been part of the Hoagies’ March 2016 Blog Hop: March Mathness. Please click the image below to keep on hoppin’! Such great advice! I also grew up without a clue that math could be fun. Fortunately, my kids seemed to like it on their own, in spite of my failings in this area! You offer a wealth of wonderful ideas for how to integrate math into everyday life, and to use reading skills and creativity as a part of this. Hi cait..m from india n m an ardent reader of ur blog…hv a curious 5yr old n he luvs reading..its soooo important for kids to b readers …just opens up new world for dem..we luv reading but never read maths books…just ordered ur recommendations…happy reading ? Thank you for stopping by, Amrita! And thank you so much for reading and sharing in our journey. I hope these resources help. Let me know what you think! Love this post! You really nailed it with these 10 ways to keep math fun! We do most of the same things you do– surround them with numbers, read fun math books, play lots of board games, etc. My kids also use their own money a lot. I put them in charge in the aisles of the stores; suddenly kids who could not add on their workbook page could tell me down the penny how much they were spending; approximate tax, and figure out about how much money they would have left over. Also I found you on Bloglovn’ and followed you. I think I have read three of your articles today! What a wonderful blog. Mommy of 4 here. I’m exhausted. 🙂 But, I love every minute of it. I just found a wonderful children’s picture book that I purchased on Amazon. It’s called “Cooking With Mr. C.” by John Contratti. I heard about it from some of my girlfriends. It’s a very sweet story with a great message for kids. Have you read it? I highly recommend it. We need “moms” to share more book titles. Mary G.
Well, my friend, after your SH Day in the Life post I think you’re MY homeschool hero. So there 🙂 In all honesty, I hope these help. It was a great read! I think making math fun is so much easier now with so many interesting apps and online games, plus free resources such as Khan Academy. No child should be raised in fear of math in this day and age! It reminded me of this great podcast episode I came across years ago featuring a mathematician mom who homeschooled her kids. She avoided teaching math to her own children in any traditional way. Instead she used everyday situations, books and games to guide their development in numeracy, logic and reasoning. It’s a really interesting listen! Listening now! Thank you so much Brigit! Wow!What a comprehensive list of resources! 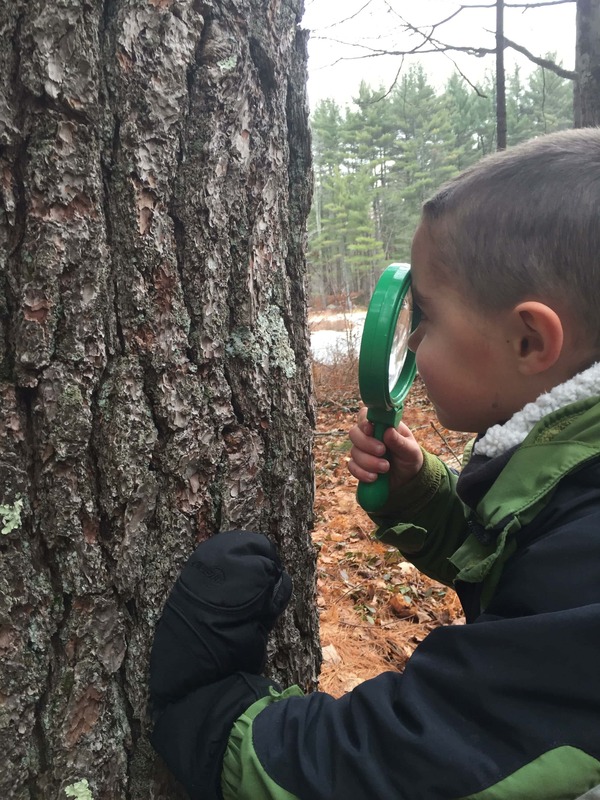 Your commitment to learning is evident in your joyful explorations! This is an excellent post! You are absolutely right to apply literacy strategies to math 🙂 What a thorough list of ideas to make math fun! Thanks for sharing! Thank you for the fantastic math story books! Going to order them! Take a look at the Beast Academy curriculum. It is so amazing! I can’t count the number of times I have had to tell my son that I need him to put down his math because we have other things to do… like eat supper… and we are morning homeschoolers 🙂 It is a deep and broad math curriculum in a witty comic book format targeted toward gifted kids. My oldest LOVES Beast Academy! You’re right- I should add it into this post. Thank you!